Falmer is a small downland village which retains its rural attractiveness despite its close proximity to Brighton and Hove city. It is a recognised beauty spot. The village is recorded in the Domesday Book as 'Falemere' which is a Saxon name. There are two possible meanings for the name. One is Fala's Mere, a pond belonging to Fala who may have been a Saxon chieften. Or possibly Fallows Mere, which means a dark pool. Both of these possible meanings confirm that Falmer Pond was in existence in Saxon times. After the Norman conquest, the village grew as an isolated farm settlement and belonged to the estate of Lewes Priory. Falmer boasts a large 13th century thatched barn, hidden from view behind the church. The barn is reputed to be one of the largest medieval barns in Sussex and was used by the monks of Lewes Priory for storing sheaves of corn. When Henry VIII dissolved the monasteries in 1536, church estates were given to his subjects who lived at a distance and drew the profits. Thomas Cromwell and Anne of Cleves held Falmer for a few years each. By 1630 records show that Falmer was in the hands of the Craven family of Berkshire and its manor extended over 3060 acres. In the 1700's the Falmer estate was purchased by the Pelham family who already owned Stanmer house and estate. Thomas Pelham was created Earl of Chichester in 1801 and he reorganised his landholdings to create compact farms of 500 to 1000 acres each. Court Farm in Falmer may date from this period. 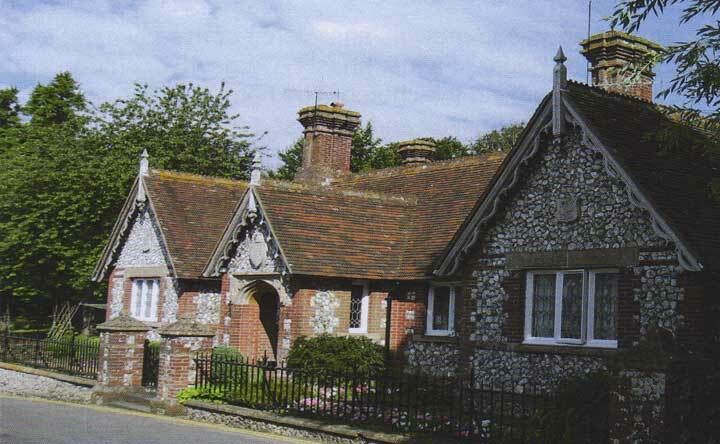 The Chichester family also founded the Falmer Almshouses and rebuilt the church in 1817. The decline in the downland estates began in the 1880's and the Chichester family sold off large amounts of land after 1910. What was left of the estate was requisitioned by the War Department in 1942 and the Chichester family did not return after the war. Instead they sold most of their remaining estate in 1947 to Brighton Corporation. A teacher training college was then developed in the early 1950's and this is now part of Brighton University. Sussex University was built in 1961. A new four-lane road to Lewes 1978-79 changed Falmer forever by dividing the village into two halves, north and South. Falling rolls led to the closure of the village school in 1972. The building then became the village hall. The village shop closed when it was discovered to be in a dangerous state of repair and the landlords sold the shop, which became a private home.